Koatsu Yashima is from Japan and received her early training at Noriko Koizumi Ballet Studio. In 2015, she moved to New York City to train in the professional training program at Gelsey Kirkland Academy. The following year she joined Gelsey Kirkland Ballet as a trainee. 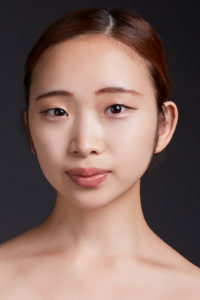 Koatsu joined Eugene Ballet in 2017 and has danced the principal and soloist roles include Clara and Sugar Plum Fairy in The Nutcracker, Monkey Queen in Toni Pimble’s Mowgli, and Ingrid in Pimble’s Peer Gynt. This is her second season with Eugene Ballet.